A term coined by IBM for its “software-defined everything” vision. The company’s Software-Defined Environments (SDE) group is the latest evolution of what first began as the Application, Integration and Middleware group inside the IBM Software group. By dynamically assigning workloads to IT resources based on a variety of factors, including the characteristics of specific applications, the best-available resources, and service-level policies, a software-defined environment can deliver continuous, dynamic optimization and reconfiguration to address infrastructure issues. SDN is short for software defined networking. Software defined networking (SDN) is an approach to using open protocols, such as OpenFlow, to apply globally aware software control at the edges of the network to access network switches and routers that typically would use closed and proprietary firmware. Software defined networking offers numerous benefits including on-demand provisioning, automated load balancing, streamlined physical infrastructure and the ability to scale network resources in lockstep with application and data needs. As noted on Enterprise Networking Planet, coupled with the ongoing virtualization of servers and storage, SDN ushers in no less than the completely virtualized data center, where end-to-end compute environments will be deployed and decommissioned on a whim. Legacy network infrastructure is typically a mix of vendor solutions, platforms and protocol solutions making the ultimate goal of an integrated network ecosystem a difficult process for many organizations. According to Enterprise Networking Planet, it is feasible, though perhaps not optimal, to implement software defined networking on existing physical infrastructure. Today, the enterprise and large customers look to build new SDN infrastructure from the ground up. Device software optimization (DSO) is a methodology that enables companies to develop and run multiple device software at a faster more reliable rate and at a lower cost. DSO encompasses enterprise-wide development processes and benefits include a standardization of technologies, tools and processes, reuse of intellectual property, and a broad ecosystem of hardware and software partners. Agile development is a phrase used to describe methodologies for incremental software development. It is an alternative to traditional project management where emphasis is placed on empowering people to collaborate and make team decisions in addition to continuous planning, continuous testing and continuous integration. Agile development is used to describe any development process that is aligned with the concepts of the Agile Manifesto. This well-known documentation was developed by leaders in the software industry and is based on experience with what works and what doesn’t in software development. Display two windows side-by-side. Drag one window to the right or left and it automatically naps to that side and provides the option to place another window in the other side. Organizational silos typically do not share the same priorities, goals or even the same tools, so departments operate as individual business units or entities within the enterprise. Silos occur because of how an organization is structured. Managers are responsible for one specific department within an organization and each manager has different priorities, responsibilities and vision. Often, managers are not aware of the priorities and goals of other departments and there is little communication, collaboration and teamwork between these business units. The silo mentality is really an organizational way of thinking. It occurs when departments or management groups do not share information, goals, tools, priorities and processes with other departments. The silo mentality is believed to impact operations, reduce employee morale and may contribute to the overall failure of a company or its products and culture. Today, managers are tasked with breaking the silo mentality to ensure information flows freely between all departments in an organization. The goal is to change and improve the relationships between business units by advocating better teamwork. Communication and collaboration is essential to breaking down the silo mentality. In In technology centers there is a need to break down IT silos to improve the relationship between Development and IT Operations in particular. On the development side – especially for individuals working in IT operations — there needs to be better communication and collaboration to best serve the IT business needs of the organization. One solution to breaking down this IT silos is DevOps (development and operations), a culture that partners developers with operations staff to ensure the organization achieves optimal running of software with minimal problems. This culture is one that supports a willingness to work together and share. The ITIL solution to the IT silo is the Operational Level Agreement (OLA). The OLA defines how IT groups work together to meet IT service level requirements. Successful ITIL adoption depends upon cross-silo process interaction and shared responsibilities. Why Do We Need DevOps in the Enterprise? In the enterprise there is a need to break down silos, where business units operate as individual entities within the enterprise where management, processes and information are guarded. On the software development side — and for those working in IT operations — there needs to be better communication and collaboration to best serve the IT business needs of the organization. One answer to breaking down enterprise silos is the move towards a DevOps-based culture that partners developers with operations staff to ensure the organization achieves optimal running of software with minimal problems. This culture is one that supports a willingness to work together and share. The DevOps culture puts a focus on creating a fast and stable work flow through development and IT operations. One main goal of DevOps is to deploy features into production quickly and to detect and correct problems when they occur, without disrupting other services. DevOps is not based on stringent methodologies and processes: it is based on professional principles that help business units collaborate inside the enterprise and break down the traditional silos. The guiding principles of DevOps include culture, measurement, automation and sharing. DevOps is considered to be a new approach to the more traditional application lifecycle management (ALM) process. 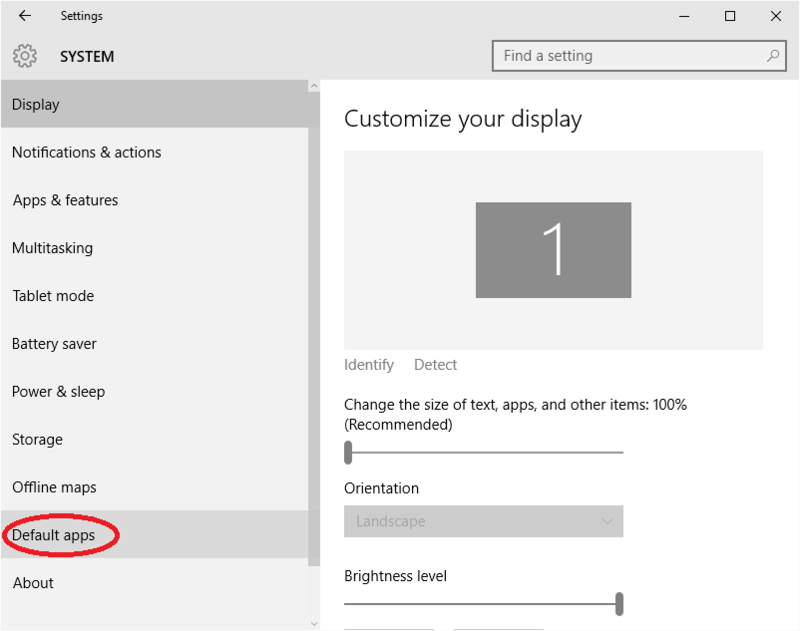 Select Windows Key + I to open the Settings app and select System. Next, scroll down to Default Apps in the left pane and select it. Select the camera button, which appears on-screen in addition to the shutter button as you film. If you are not using the iPhone’s true photo sensor; you’re getting the slightly less impressive video sensors instead, but the photos should still turn out pretty nicely.